Anon - Phone your insurance company for a Ford-Peckett quote !? This locomotive, of Peckett class OY-1, was one of only six, being part of a batch of four built to the order of Courtaulds in 1948. When new, No. 2087, then named Dafydd, was sent to Courtaulds' Aber Works, Flint, North Wales. It was subsequently transferred to Wolverhampton, where it lost the name. Finally, No. 2087, went to Courtaulds' Red Scar, Preston, plant. Here it was rebuilt with parts from scrapped sister engine No. 2086, and worked until replacement by diesel in 1968. During its time at Preston, No. 2087 received the name Miranda. 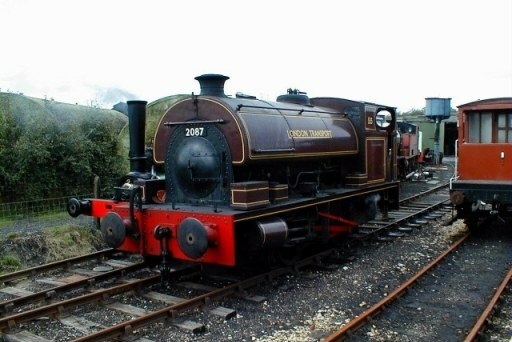 After withdrawal the loco was purchased by the Lytham Creek Motive Power Museum. In March 1980 it was transferred to the Lakeside and Haverthwaite Railway for possible use there, although in fact the loco was never steamed. A QRS member purchased No. 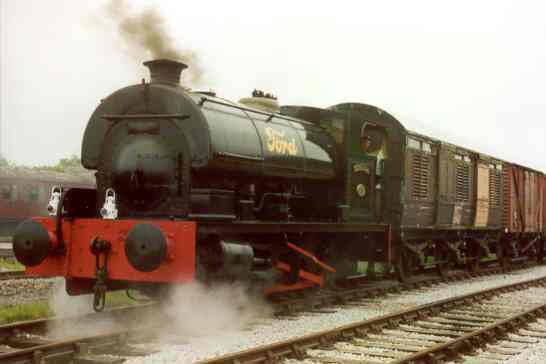 2087 in 1983, and in December of that year it was moved to Quainton. At Quainton it has appeared in a number of liveries, both permanent and temporary. These include BR Black, London Transport and Fords, as shown in the photos above. The loco has carried the name Gibraltar in some liveries. No. 2087 has worked extensively for the society over the years. 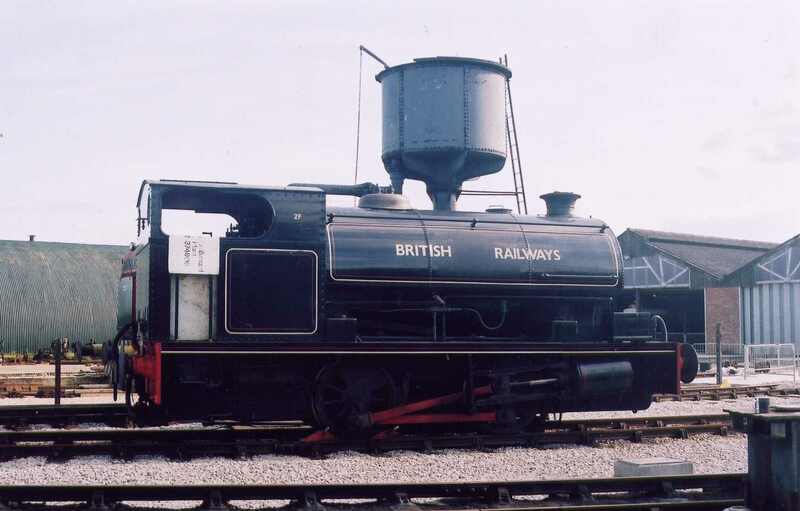 During 2004 Gibraltar had a hot box, and was sent to Bill Parker's Flour Mill restoration base for maintenance, including wheels being turned at Tyseley works. It recently returned to operational status after its 10-year overhaul. During the Metropolitan 150 celebrations at Quainton during August 2013 Gibraltar ran with MSLR 3rd No. 1076, LSWR Ventilated Van No. 5025 and the Tube Wagon No. 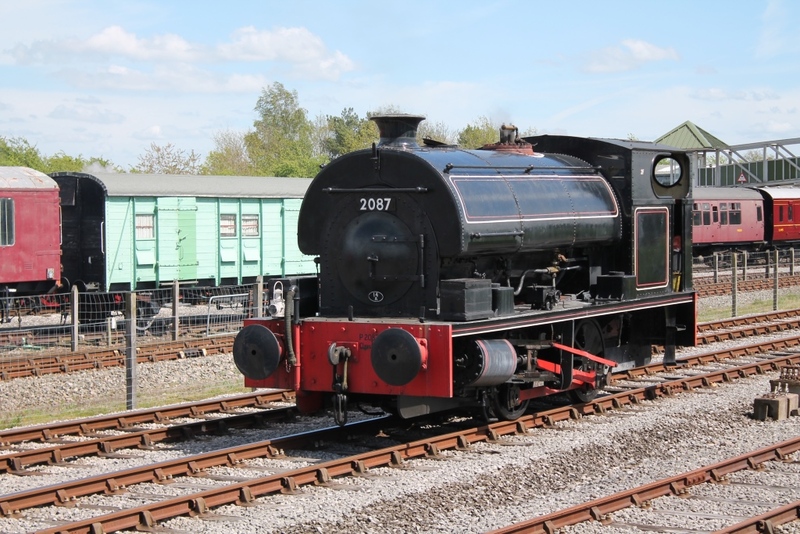 801 repainted in Metropolitan Railway livery. Tractive Effort :- 22, 706 lb Boiler Pressure :- 200 psi Cylinder Dimensions :- 16" x 24"